Attractive shrub with orange toothbrush flowers appearing in winter/spring/summer and green divided leaves. It prefers well-drained soils in full sun or partial shade position. Tolerant of heavy frost and extended dry periods once established. Prune for compact growth. Excellent container plant & for embankment plantings. Bird attracting. Very variable species. Species available originally grown from seed. 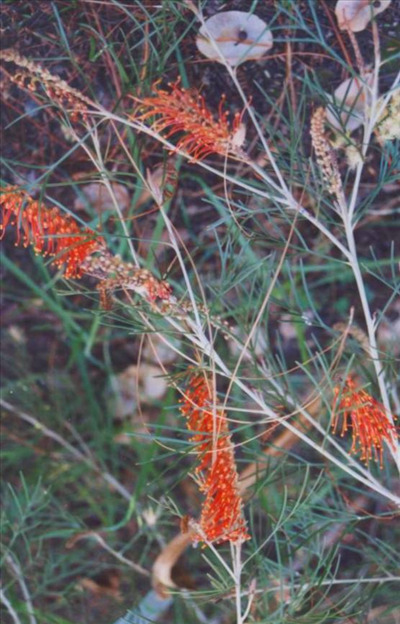 Some seedlings have deep red to black toothbrush flowers.